Implant dentistry is a surgical process which substitutes a damaged or missing tooth roots with an artificial tooth. People who have one or more missing/damaged tooth owing to decay, accidents or ageing can seek respite in dental implants as this procedure restores the normal function of the concerned teeth. Before getting ready for the dental implants, it is extremely necessary to consult your dentist who might check up on your oral health along with symptoms of chronic diabetes or other heart diseases. However, if your gums are weak, it is recommended not to go on with the procedure. In order to get ready for the procedure, you must get a planned routine of the necessary treatment depending on your medical history. The implant (made up of titanium) of the tooth root is appropriately placed in the affected portion and it will take a duration of 6-12 weeks for the jawbone to fuse and heal consecutively. After the jawbone is healed, an abutment is placed on that position in order to ascertain the firmness necessary to hold on to the new tooth or teeth. Then a tooth replacement known as the crown is attached to the abutment, after creating a model for the particular tooth. The color of the replaced teeth will match that of the original ones. 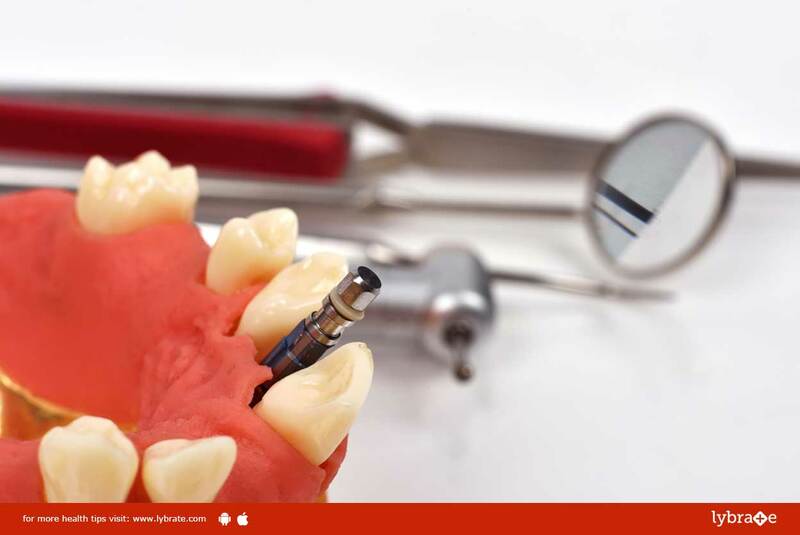 After the fusion, the implanted teeth will function just like your natural teeth. The procedure generally causes less to no side effects. Although some of the patients might suffer from a sore mouth, it can be controlled by some prescribed dosage of medications. The procedure should be followed up with a maintenance of suitable oral care which involves brushing and an adequate usage of mouthwash. A successful dental implant makes sure that you do not face problems while eating, talking and helps you considerably with the maintenance of a new and improved oral composure.